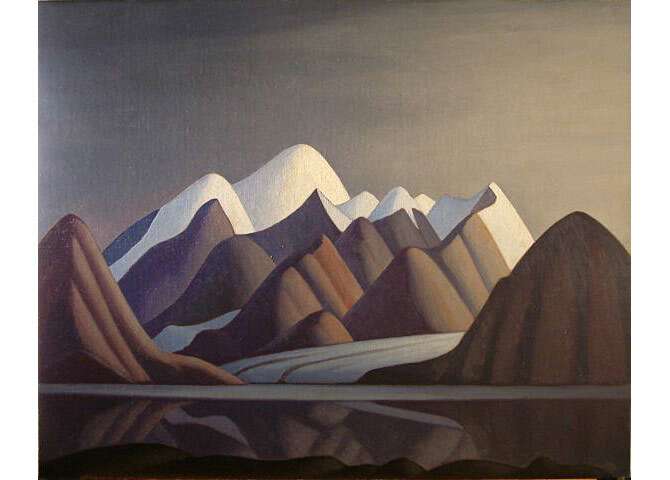 Oil on Canvas: ”Mount Thule, Bylot Island”, Lawren Harris, 91.5 x 112.5 x 7.5 cm, framed, 1930. 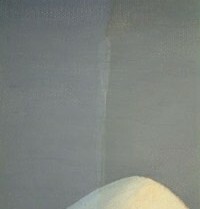 Public museum collection. 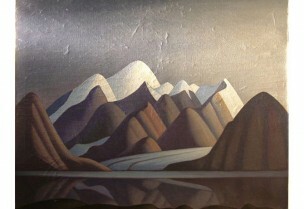 This important Canadian historic painting had ongoing conditions of instability and had been conserved many times over the years to stabilize paint and replace missing image. 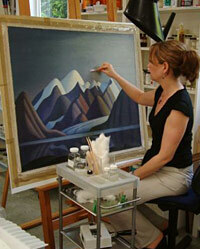 Our conservators and the custodial museum conservators discussed treatment of this painting. 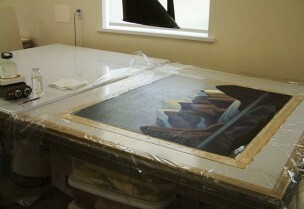 Because the painting is in high demand for access through exhibition, it required a full consolidation and stabilization treatment to withstand future touring. 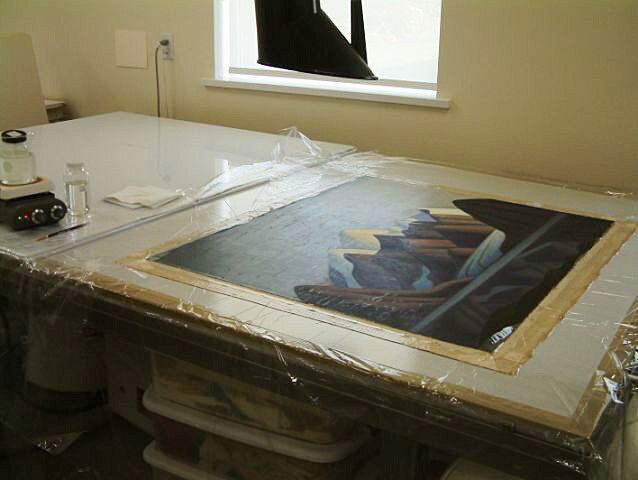 In our lab, this extent of treatment is reserved for a painting in very unstable condition exposed to a high degree of risk for damage or deterioration. Before Treatment: This Group of Seven painting had a network of cracks through the entire surface with associated cleaving and flaking, which can be seen in raking light. 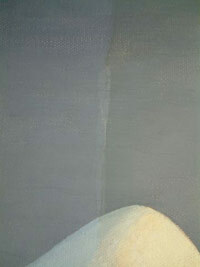 After Treatment: The paintings stability, durability and image have been improved as can be seen in raking light. 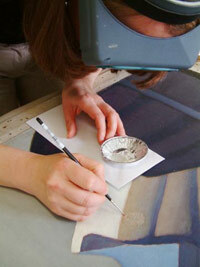 During Treatment: Areas of previous conservation/restoration were removed so that they could be replaced. 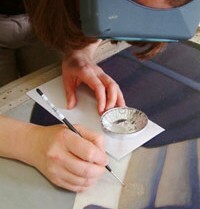 During Treatment: Following vapour treatment, the painting was consolidated on the heated suction table to stabilize flaking paint. 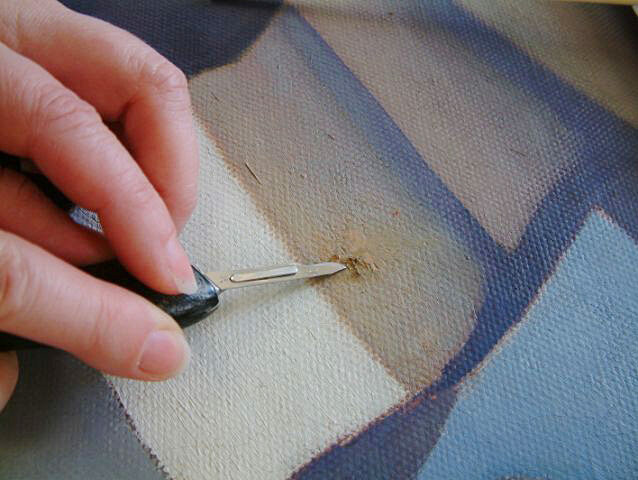 During Treatment: Removal of the discolored varnish layers. 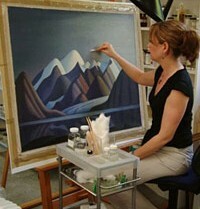 During Treatment: The original colors in the sky and mountain are revealed during the varnish removal. 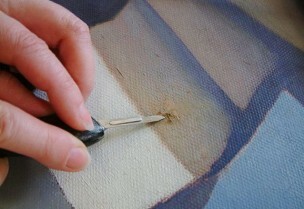 During Treatment: A fill was applied with a paint brush to areas of loss.